Summary: DRM Removal for Apple can remove DRM from iTunes files and Apple music easily and quickly. Let’s first know in short, what is DRM? DRM stands for Digital Rights Management. It is set of access control technologies that are used to restrict the usage of music, movies, animations or any such content which are copyrighted. Apple has made partnership with nearly all major big names of the media industry, and has assured that on Apple devices the music or movies will never be pirated. Apple customers also respect the decision, and always purchase the music they want to listen or any movie they want to watch. But there is a problem, the music they purchase once on any of their apple device, they cannot use over any other device or platform. So, the customer has to purchase one single music or movie twice if he wants to use it on some other device. Apple used FairPlay, DRM technology which makes it impossible for customers, to use their purchased songs, music, videos, movies and audiobooks on any unauthorized non-apple devices. To avoid such scenario, we have DVDFab DRM Removal. It easily removes the DRM encryptions and make your media available for use into any media playback devices, so you don't need to pay twice for the same content. Processed songs can be used on any devices like laptops, mp3 players, mobile phones etc. Supported Formats for Input are M4V for video, M4P for Audio & M4B for Audio books. Supported formats for output after processing are MP4 for Video, M4A for audio, & M4A for Audio Books. Also the software is available in multiple languages which primarily includes English, Spanish, French and many more. DVDFab is available for trial at no fees and no credit card information. The trial is available for 30 days (during these days, you can remove DRM from 1 video file and 5 audio files freely) for free and later if you like it, you can purchase the paid version or the full version. Cost for full version of the whole DVDFab package is $369, which is worthy of the features it provides. On the website there are many other software packs available with different features, so if you don't need all of them, you can buy a specific package. DVDFab DRM Removal is a part of DVDFab package. The price for one year license is $39 and $69 for lifetime license. Click the following download link to try the DRM removal freely. The process to use the software is pretty easy, similar to its name. You need to install the software on your computer, and run the software. The installation must be made on that device from which you access iTunes. DVDFab must be allowed to access iTunes XML file to do the job perfectly. ● Click on "For Video", if you want to remove DRM from a movie file. Click on “For Audio” button, if you want to remove DRM from songs. ● Locate the file on your local device or you can click on button "Add from iTunes". If your iTunes is logged in, it will ask for permission and then will show the list of files and you can select the one out of them. If you have located file from local device, the file will be added to DVDFab. ● Click the “Start” button to begin the process. ● Once the DRM is removed, a separate file will be saved on the local device, to the desired location. These are really easy to follow steps which can readily convert your DRM encrypted media to a DRM free media file. Even a newbie to computers can use it. In this short article we discussed about the steps to use DVDFab, the configuration, and the way you can have it. What we suggest is that this software contains all that you might need to play around with your media files. 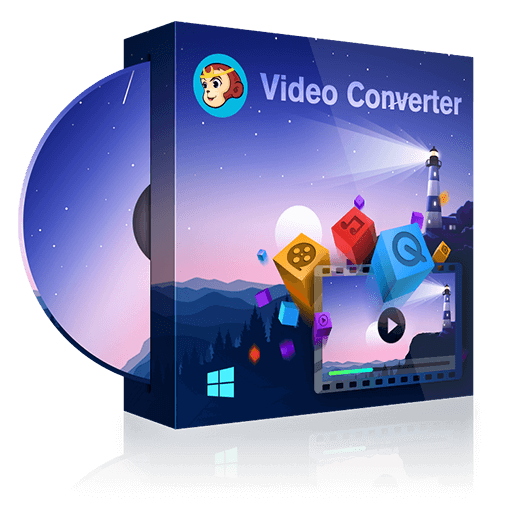 It seems to be the easiest way to convert the files you have paid for into the format which can easily play on all your devices. It is not pirating of stuff, it is just defining the right to ownership of the content you purchased so that you can use it anywhere, anytime and on any media device you want. Even it is great software, we suggest you to go for the trial first and then purchase the full version and we guarantee you won't regret our suggestion. Are you looking for a free DRM removal to remove the annoying DRM from your videos, songs, e-books and audiobooks so that you can enjoy these files freely on your various devices? This article lists 3 free DRM removing tools to help you remove DRM protection from e-books and multimedia files, especially iTunes files, freely and effortlessly. However, these free DRM removal tools are not full-featured, and they cannot fulfill all your needs of removing DRM. So here we also provide you some alternatives. Now let’s have a look at these DRM removals. Do you know that there are free TV episodes and $0.99 movie rentals released periodically by iTunes? Do you know that there is a way in which you can watch those iTunes videos on your non-Apple devices and possess those movie rentals forever?This article will show you how to find the free TV episodes and $0.99 movie rentals on iTunes, and tell you how to transfer iTunes videos to non-Apple devices and turn movie rentals to your movies forever. This article introduces you top 5 best iTunes DRM removal Mac tools for you to remove DRM from iTunes videos, audiobooks, movies and Apple Music on your Mac easily and freely.